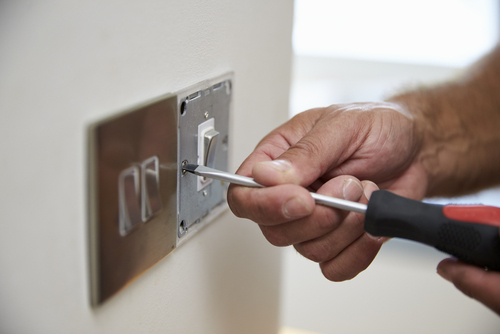 Short circuits can lead to a range of problems in businesses and homes. Not only can a short circuit trip your circuit breakers and disrupt your day, but a simple short circuit could also cause electrocutions and even electrical fires! But what is a short circuit? And what causes short circuits? Well, here at Walker Electrical, we are Preston’s leading electrical professionals. We work with companies and businesses, across a variety of industries, throughout the North West, to provide high quality, professional electrical solutions. As a result, we have produced this guide to everything you should know about a short circuit. So, first of all, what is a short circuit? Well, a short circuit is the name given to a very particular electrical fault. This is when the electrical current does not pass through all of the wiring, and instead, chooses a shorter route. This is because electricity always wants to go back into the ground, and will take the most direct route. Including through a human being! By taking a shorter route, more electricity than expected will pass through these wires, and the electricity may even flow where it is not expected too. A fault with the insulation- if the circuit wire insulation is faulty, the current can then pass to neutral wire, causing a surge in electricity and a short circuit. The circuit wire insulation can be negatively effected by age and use, as well as screws and nails, and animals like rats. A fault with the connections- a circuit needs strong connectors to keep the current flowing. If the connector is loose, electricity will be able to pass to either neutral wire, or a grounded part of the circuit, causing a short circuit. A fault with the appliance- when you plug an appliance into the circuit, it becomes a circuit extension. And if the wiring is faulty, this can short the whole circuit in your property.